The University of Pennsylvania has become the latest in a series of institutions of higher learning that have dug into their past, unearthed significant ties to slavery and begun trying to figure out how to address repercussions of the historical injustice. In a statement issued Friday, Penn president Dr. Amy Gutmann summarized the school’s journey from the Penn Slavery Project – which reported initial findings last fall – to a recently completed, more in-depth study by a seven-member working group of administrators, faculty and students. The first provost, Rev. William Smith, was among upwards of 75 of Penn’s early trustees who owned at least one slave. The school reimbursed its first professor of English and oratory, Ebenezer Kinnersley – who also was a dormitory steward – for work done over 13 years by a slave he owned. Led by Dean William Horner, medical school faculty “played pivotal roles in the development of racial pseudoscience” based on research conducted by various faculty members and alumni. Faculty and graduates participated in administering state slavery laws and framing the U.S. Constitution to support slavery, with one math professor actively influencing the provision that slaves count as three-fifths of a person for Congressional representation. Slave labor was used to provide care and support for Penn students and faculty in various ways. Pritchett led the working group and Mitchell, who also is the school’s chief diversity officer, was a member. In line with the group’s recommendations, Gutmann said, the Ivy League school specifically will: support the Penn Slavery Project’s continuing research; support research on how the medical school’s pedagogy, research and medical practices impacted alumni and the lingering effects on medicine; create a university website for research findings and other information; encourage the university’s schools and departments to offer cultural and informational programs to educate the wider community; and join the Universities Studying Slavery consortium to learn from and collaborate with peer institutions. Penn would be welcomed into the consortium, which has about 40 member schools in the U.S. and abroad, said its co-chair, Dr. Kirt von Daacke, assistant dean and professor in the College of Arts and Sciences at the University of Virginia. 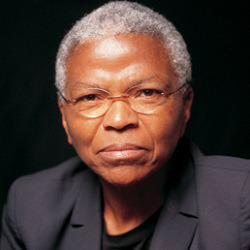 Gutmann’s statement was welcomed by some Black faculty at the school who were not directly involved in the research – and were not surprised by the findings “about Penn’s complicity with slavery at a time when slavery was legal and owning and utilizing slaves was common,” said Dr. Mary Frances Berry, a prominent history professor and Geraldine R. Segal Professor of American Social Thought since 1987. “Penn, like other institutions, has a direct responsibility for the perpetuation of slavery and racial inequality,” said Berry. “It’s not just abstract. The efforts made toward diversity and inclusion have been slow to succeed for African-American students who are not first- or second-generation African immigrants. Perhaps these findings will inspire greater progress. 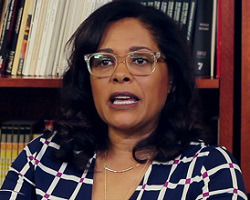 Dr. Camille Zubrinsky Charles, director of Penn’s Center for African Studies and a faculty member for 20 years, said the next steps outlined by the president sound appropriate. The impact of Penn’s slavery ties on admission and support of students of color, specifically African-American students, must be explored further, she added. What Penn and other schools are doing to confront an unpleasant chapter in their history provides opportunities to “shine a critical light on their own past,” something institutions of higher learning historically have failed to do, said von Daacke. He said Brown University led the way in 2003, becoming the “gold standard” for other schools that followed suit, including UVA five years ago and now Penn. Often, students initiate the historical soul-searching through research and a quest for “honesty,” which draws in faculty and then administrators, said von Daacke.